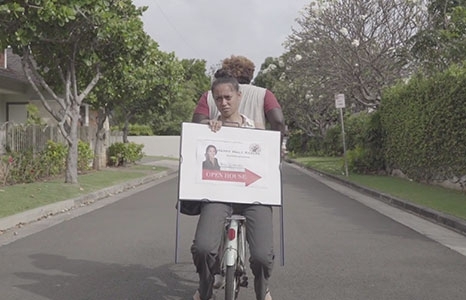 Presented in partnership with Hawaii Filmmakers Collective, join local filmmakers as they create and present films written, shot, and edited within forty-eight hours. Guidelines for this year’s challenge will be posted on hifilmmakers.com Friday, March 29 at 4pm. Filmmakers will have exactly 48 hours to create their films within the guidelines presented. Don’t miss the innovative work on the big screen on April 6 and come to cheer for your favorite films. There will be juried and audience awards, a no-host bar, and special prizes. All of the films had to include this year's theme, line of dialogue, and prop. Theme: The Hawaii you won’t see in a tourism video. Doors open at 7pm. Showcase starts at 8pm. Hawaii Filmmaker's Collective is a local 501c-3 non-profit organization whose mission is to foster and showcase local filmmakers and their art.